I spotted a blog post titled 25 Beautiful Photos of the World’s Favorite Transportation recently on the Compassion Blog. I highly recommend reading the post and checking out some bikes from around the world. As a cyclist, I love opportunities to highlight the beauty of the bicycle. There are more than a billion bicycles in the world – used for sport, work and regular old transportation. In the impoverished communities where we work, a bicycle can mean so much more than just a thing that gets you from point A to point B.
It’s sometimes a child’s only toy. A teen’s only way to get to class. A means to attend the only church in a 100-mile radius. An opportunity for a street business to provide for a family. Bicycles are sometimes a catalyst for a little … Hope. 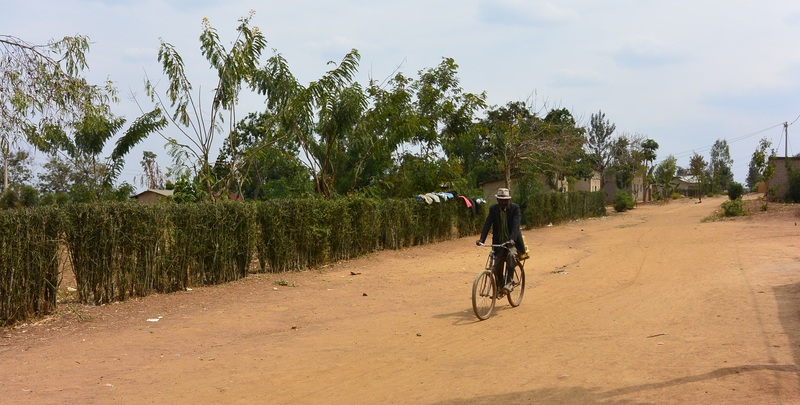 The post reminded me of a couple of bicycle photos I took while in Rwanda a few years ago seeing Compassion at work. The photo at the top of this post is one I snapped when I saw an older gentleman cycling along the road I was standing beside. You can click on the photo (or the others in this post) for a closer look. 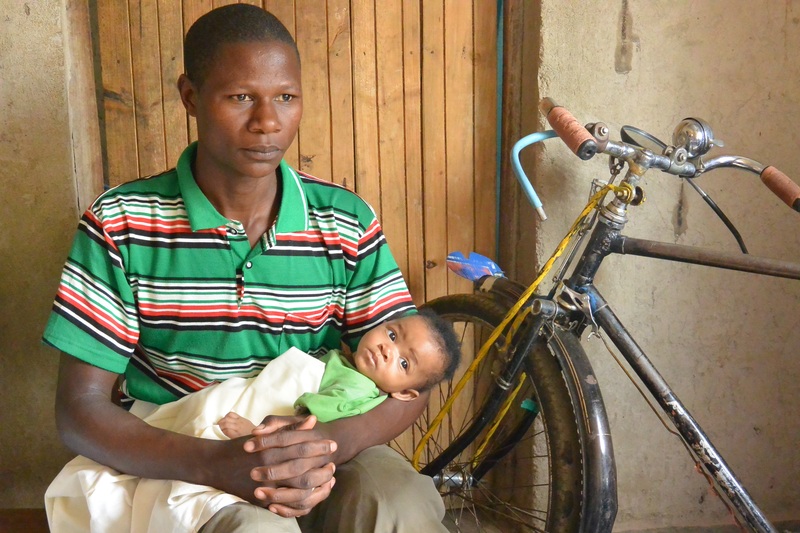 The photo below shows Emmanuel and the bicycle he uses to earn a living for his family. He collects and delivers water as well as transporting groceries from the local markets for others in his village. This is one of my very favourite photos. Emmanuel is holding one of his babies. His wife had triplets. I can’t imagine the mixed emotions of finding out that you’re pregnant with triplets when you’re living in poverty. On the one hand it would be such a blessing but on the other hand, you would be wondering how you would be able to support these new, precious lives. Thankfully, Compassion was right there partnering with the local church and was able to ensure a good pregnancy and a healthy birth. Those triplets were gorgeous and Emmanuel was absolutely besotted with his little family. This brings me to another bike photo. 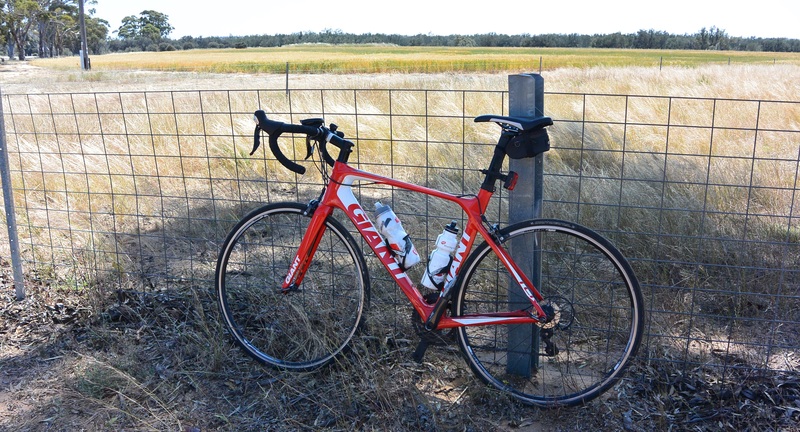 This is my 2012 Giant bicycle which I’ll pedal more than 4,300 kilometres across Australia later this year to raise funds for Compassion. It’s for people like Emmanuel, his wife and their triplets that I’ll be riding.